Nose: great finesse, tender, white fruits, pear, white flowers, white rose. Palate: sweet, balanced, fluid, elegant, fresh, summer notes. The Selection S.O.B. 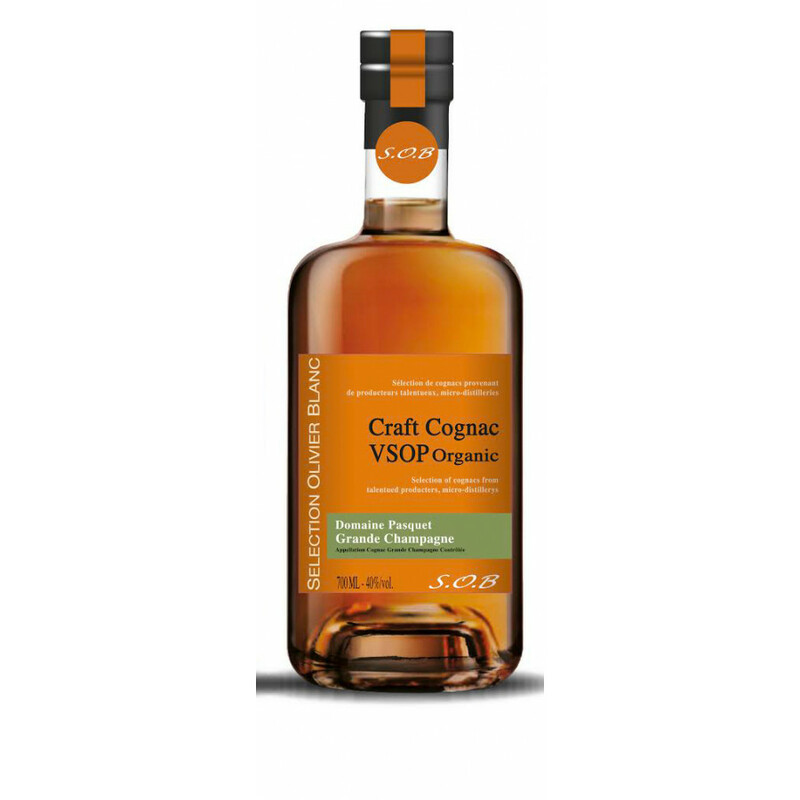 VSOP Organic Domaine Pasquet Grande Champagne Cognac is an organic VSOP quality delight. Part of the small, select group that make up the S.O.B (Selection Olivier Blanc) brand, every step of making this Cognac has been overseen by the passion and personal touch that epitomises what an 'artisan' brand is all about. This is a wonderfully versatile (and great value for money) Cognac to own. Firstly, you enjoy the freshness and naturalness that an organic Cognac brings to the table. Secondly, this is a truly wonderful Cognac to enjoy - taking the taster on a sensory journey - from the bright, cheerful color, to the aromas, to the balanced, elegant taste and fresh finish.